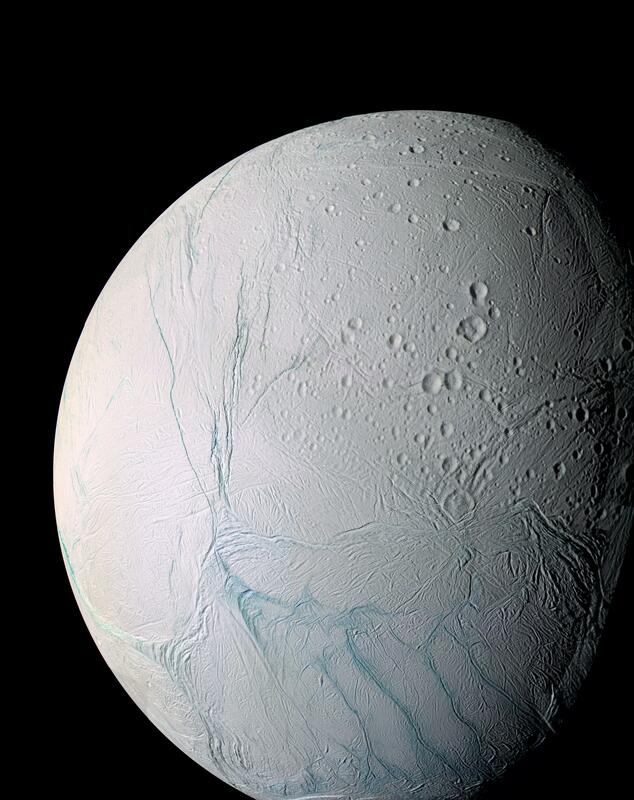 Explanation: Based on data from Cassini spacecraft instruments, researchers are now arguing that liquid water reservoirs exist only tens of meters below the surface of Saturn's small (500 kilometer diameter) but active moon Enceladus. The exciting new results center around towering jets and plumes of material erupting from the moon's surface. The plumes originate in the long tiger stripe fractures of the south polar region pictured here. 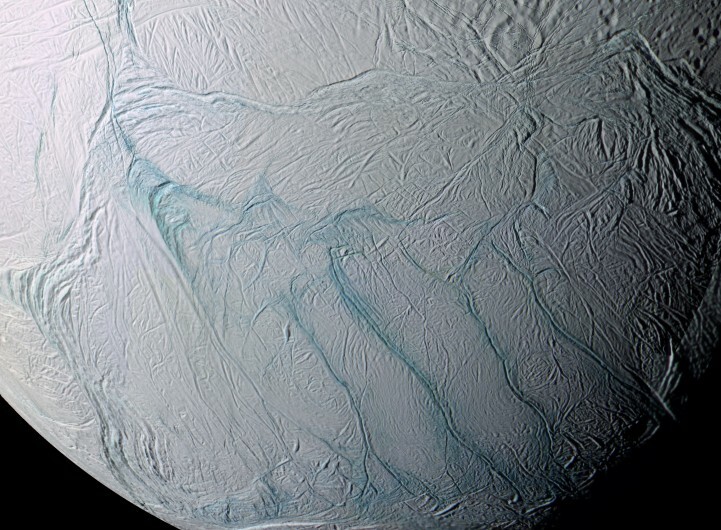 Detailed models suport conclusions that the plumes arise from near-surface pockets of liquid water at temperatures of 273 kelvins (0 degrees Celsius), even though Enceladus has a surface temperature of about 73 kelvins (-200 degrees Celsius). Clearly an important step in the search for water and the potential for the origin of life beyond planet Earth, such near-surface reservoirs of water would be far more accessible than, for example, the internal ocean detected on the Jovian moon Europa.